Where did they get the "wealthy" bit from? A fairly modest house and 1 buy to let doesn't make for wealth. who was checking her mortgage applications ? the country is in such a state through this that its hardly worth bothering to fix it. its slow to watch it go over, painfully slow. but how can it not ? She owned at least five properties in affluent locations around the north of England. 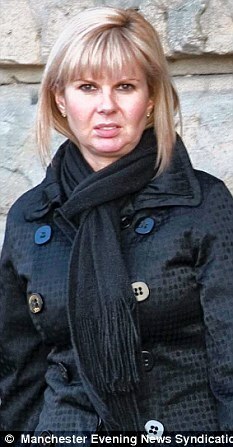 Why has she only been fined £17,500 when she has defrauded the taxpayer of £28,000? It's not like she can't aford to pay it. That suggests she got let off £5k for each of the months she will (or rather won't if Ken Clarke has his way) spend in prison. What a fix. The article does say that she's wealthy, so why isn't she made to pay it all back? With interest, plus costs. That is a very good question. The reporter seems to have inadvertantly overlooked a serious injustice - the last thing I would have expected from the Daily Mail (though she doesn't look foreign at least). Or does having £17.5k (presumably all the money she actually has ) make you average Daily Mail reader wealthy?? She wasn't tried by a jury. The conviction is based on a plea of guilty to the obvious stuff. Probably alot more going on in the background, and parliament stops judges from imposing real punishment where there's a plea. A Restitution Order is normal in such cases. One too many in my humble opinion. If I stole £28k and got caught, I'd fully expect the S to hit the F. Are we saying stealing and getting caught does no longer mean having to pay back said stolen stuff? Was the judge paid off? What is going on here?? I seriously would like to know what the situation is. Wasn't there someone who stole 150k and gets to pay back zero as they've spent it all? Furture earnings and assets need including - mind you - who would employ them with a conviction?